Have you been injured in an Atlanta Bus Crash? Whether it was a MARTA accident, a school bus, or a church bus, we are here to help. Contact an Atlanta bus crash lawyer at Amircani Law to get the best settlement. Amircani Law specializes in helping bus crash victims in Atlanta get the financial compensation they deserve. 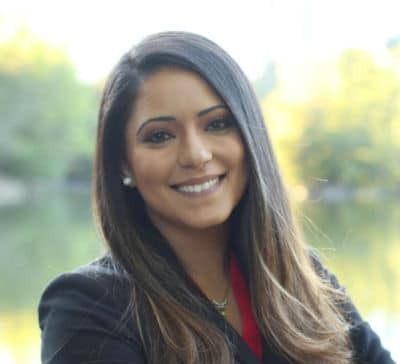 Maha Amircani, the founder of Amircani Law recently helped secure a $1.4 million verdict for a client in federal court. A bus crash Atlanta is devastating to the many individuals that are involved. For some, it provides a cheaper and faster commute. For others, it is for environmental reasons. Regardless of the reason, many urban Georgians depend on the bus for their daily transportation around the city. They rely on the bus driver to be cautious, observant, and responsible. Unfortunately, even the most safety-conscious operator could make a mistake, and a simple mishap could result in the deaths of everyone on board. This affects not only the passengers but their families and everyone who knew them, as well. If you or a loved one are injured on a commercial bus, school bus, church bus, or subway, an attorney can fight for compensation for your physical, emotional, and financial damages. Amiricani Law specializes in helping bus crash victims in Atlanta receive the financial compensation they deserve and the closure to move on with their lives. There are several ways bus accidents differ from car accidents. The first obvious difference is the much greater weight and size of a bus compared to another vehicle. A bus weighing almost 50,000-pounds could completely annihilate a small sedan in a head-on collision. A motorcycle in this type of accident would be flattened. The driver and passengers of the other vehicle would be severely injured and perhaps killed. Plus, most buses have no safety restraints for passengers, which increases their chances of being injured in a crash, as well. Bus and car accidents also differ in terms of responsibility. In a car accident, the drivers are liable. If the accident involves a public transit bus, the injuries of the passengers are the responsibility of the state. Major bus companies like Amtrak and Greyhound or Amtrak are required by law to maintain a multi-million-dollar insurance policy. Those injured riding one of these buses will likely be offered a settlement for their trouble. Another way accidents involving public transit are different than those between regular passenger vehicles is that there is a very short window within which to file. One must do so within six months of the date of the incident. This enables authorities to investigate and determine an out of court settlement when necessary. Once the deadline has passed, the window for filing a claim has as well. Often the out-of-court settlement offered to cover damages are at the lowest amount possible. This is rarely enough to fully cover one’s recovery from an Atlanta bus crash including lost wages and ongoing medical expenses. That is why it is in your best interest to consult with an experienced attorney before settling for the first offer. There are several aspects that contribute to the common bus accident injuries that occur in Atlanta, GA. The high-profile causes buses to be at a higher-than-average risk for rollovers. Plus, the overall size and weight of the vehicle coupled with the lack of seat belt in many buses mean that passengers are more likely to suffer severe injuries when there is an accident. If you or a loved one has been involved in an Atlanta bus crash, it is vital that you quickly contact a personal injury attorney. Even if the injuries aren’t immediately evident, that doesn’t mean that there won’t be lingering and potentially long-term effects. If you have been involved in a Bus Crash Atlanta, speak with an attorney about your options. Those injured in a bus accident Atlanta may experience long-lasting physical and emotional repercussions that may limit their ability to work. Wrecks involving commercial or privately-owned buses can happen anytime and in optimal driving conditions, but the chances increase when the weather or road conditions are poor. For example, there were wet roads all over metro Atlanta on an early November morning in 2018. Just before 6 am, a passenger car was on its way out of the I-20 at Flat Shoals Road. Unable to brake while coming off the exit ramp, the driver was forced to collide with the passenger side of a MARTA bus. The driver of the bus had the right of way. Speaking to reporters, the spokesperson of MARTA reported that both the driver of the car and 13 bus passengers sustained various degrees of injuries. Some were taken to area hospitals, while others left the scene on their own. A skilled and sensitive personal injury attorney can provide advice, advocacy, and representation in cases involving insurance negotiations and lawsuits. If you’ve been involved in a Bus Crash in Atlanta, speak with Amircani Law about your options for free. In May of 2018, a Toyota Scion carrying two persons was involved in a school bus accident near Atlanta. The vehicle crashed with a school bus in South Fulton County, in the school zone close to the Campbellton Road and Childress Drive. Thirteen students of the Therrell High School were on the bus at the time, two of whom received hospital attention. A spokesperson of Atlanta Public Schools reported that the bus driver and students did not suffer any serious injuries. Both the driver and single passenger of the Scion were immediately taken to a local hospital for quick treatments of their injuries. The police identified the Toyota Scion driver, who was reported to be in a critical condition with a head injury and broken bones, as the at-fault party in the Atlanta bus crash. A school bus accident lawyer is essential in order to be adequately represented in a lawsuit. Georgia is one of 12 states that operates according to the Modified Comparative Fault rule that states that a driver who is found to be more than 50-percent responsible for an accident may not sue the other drivers. A knowledgeable Atlanta attorney can explain your options. An Atlanta Bus Crash can be scary. The injuries and financial impact it might have on your life can be truly daunting. We’ve been there before and know how to help. A church bus crash Atlanta took a youth group from Mount Zion Baptist Church in Huntsville, Alabama by surprise. In June of 2017, the group was on their way to a 10-day mission trip in Botswana when the wreck occurred on Camp Creek Parkway. The crash occurred when the bus’s driver made an improper lane change and collided with a car in Fulton County in Georgia. There were 39 people on board the bus when it overturned. Over 24 were hospitalized. Seventeen-year-old Sarah Harmening died. In June 2018, volunteer bus driver Jerry Sims pleaded guilty to 2nd-degree vehicular homicide, failure to maintain a lane, and an improper lane change. These charges were all misdemeanors. Although a church bus accident attorney can’t bring total resolution to a grieving family, she can help litigate a wrongful death case that may bring closure. Contact Amiricani Law to learn your options when you are the victim of a car wreck. A MARTA bus accident can be devastating to those involved. The Metropolitan Atlanta Rapid Transit Authority (MARTA) is the 8th largest intercity transit system in the United States with over 439,000 passengers annually. Though they don’t happen often, bus accidents, train derailment, and facility malfunctions still occur and both passengers and pedestrians are at the risk of getting injured. For example, a major northwest Atlanta intersection was shut down following the collision of a MARTA bus and a Chevy Tahoe. According to the police, the crash occurred at the intersection of the Fulton Industrial Boulevard and Hollowell Parkway. After failing to obey a traffic control device, the Tahoe hit the bus carrying three passengers. The police reported that there were no serious injuries in the Atlanta bus crash, although five individuals complained of back, head, and neck pains. The possibility of harming multiple people is one of the key dangers in an Atlanta bus crash MARTA or otherwise. When recovering from a wreck, consider hiring a MARTA bus accident lawyer to help understand your options. Contact an expert attorney from Amircani Law and you will be able to take your bus crash Atlanta case to court with confidence.